Eighty-five-year-old Alice Vaticano was supposed to be wheeled to the Southwest Airlines gate to catch her flight home to Denver, but instead a "processing error" left her stranded in a wheelchair in Newark for 11 hours. Vaticano, who is "sometimes forgetful," didn't know where she was, and had no choice but to sit there until someone finally noticed her. "Where was she? What happened to her? These are people's jobs," [daughter] Donna Vaticano told KCNC-TV. The elderly woman said a skycap "pushed me there and left me. I was just sitting all day in a wheelchair," she angrily recounted. ...Alice Vaticano was eventually located and put on a flight home via Chicago. The airline gave her $200 in travel vouchers. Southwest Airlines was deeply sorry for misplacing an entire human being, but made sure to clarify "NOT IT." 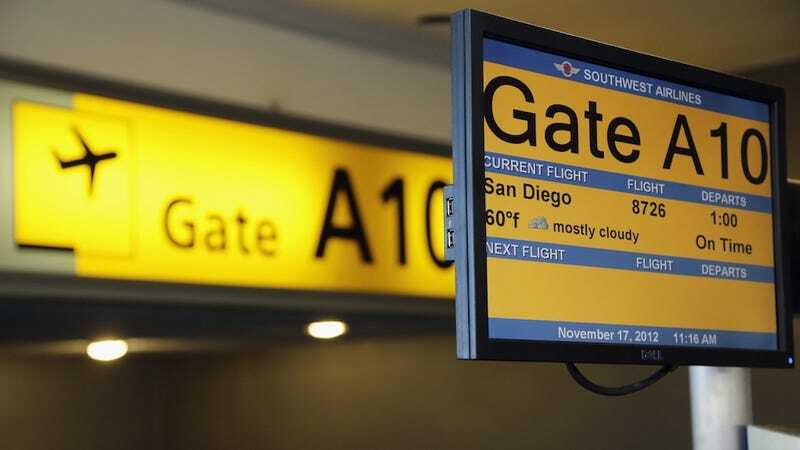 Southwest, in a statement, said a "processing error" failed to alert gate staff that a special needs passenger would be boarding in a wheelchair. Skycaps, the airline noted, are not Southwest employees.